I've been thinking about how much I like the kitchen. And so I'm remembering how it got to be this way. And that, like everything else, involves thinking about you. We never wanted or intended to build a house. After all, we like old houses, so why would we ever build a new one? When we moved here we had no choice. So build we did. We needed three bedroom and two baths, and picked the only floor plan with a front porch. And here we are. Since we built, we got to design our own kitchen. We got oak cabinets, beige countertop, and beige appliances - in style back then. But a few years ago the appliances were all dying and the countertop was coming unglued - literally - so it was time to make changes. We went with black appliances and countertop, and changed out the brass hardware for oil-rubbed bronze. At the same time I replaced all the overhead lights in the house with schoolhouse-style in oil-rubbed bronze. We had already redone the floor. It all went together perfectly. It made so much difference that I don't think we ever convinced your mother that we hadn't replaced the cabinets. We loved it, and I still do. The layout of the kitchen is great, and even better since we had the island built about ten years ago. I'm glad we got the over-the-stove microwave when we replaced the appliances. I use the old microwave shelf for the toaster, since there's an electric outlet there. Not much has changed since you left. Hanging in the window is the glass flower we got in that little shop in Holland. I got new curtain this summer. You'd like them - they're blue and green and yellow plaid. There are a couple of new things on the fridge door, but the magnets are all the same. There are potatoes and onions in Mama's colander, like always, and a bunch of bananas under the place where the phone was when we had a land line. Nothing new. Our first dishes are even in the cabinet. 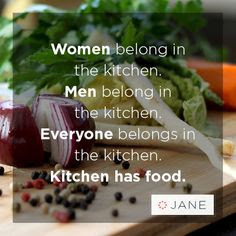 Anyway, I still love the kitchen. Thank you for helping design and update and decorate it. Thank you for all the hours we spent cooking, eating, and cleaning up together. Remembering them makes the kitchen even more special.